Last Thursday saw hundreds of students, their families and their teachers receive their A level results. This one grade on a sheet of paper is often seen as the culmination of 15 years of education in schools. Students should be rightly proud of the results they achieved. Exams are stressful, difficult and require hard work over a number of years to pass. But as a teacher of many years I have seen many factors out of students hands that can effect performance. Nerves and stress on the day, the questions that come up, the examiner that marks it and grade boundaries all play a part. If students didn’t get the results they wanted, there are still many opportunities and many avenues to go down. It’s the beginning not the end. In Reading we had nearly 700 students taking A level exams in our schools, more than last year. But we cannot forget that as a small authority, many of our students that live in the Borough go to schools on the outskirts and vice versa. West Berkshire and Wokingham schools will also educate many of our young people. In terms of percentages, there was a slight increase in those students achieving the top end marks and a slight dip in those achieving a pass. Every one of our schools, is striving year on year for improvements in exam performance against the backdrop of lower funding from central Governemt and a difficult recruitment arena. Overall, students across Reading continue to achieve excellent results in their A level exams, with increases in the top grades achieved across many of our schools, alongside more pupils sitting these tougher exams. Every students succesful result is the culmination of years of hard work from themselves, their teachers and their parents. Everyone involved is a vital part of the school system and each should be congratulated. 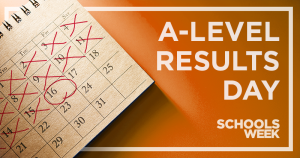 Overall results and percentages tend to be looked at on days like this, but it is the importance of these results to each individual student that really counts and the difference they can make to these young people’s lives. This entry was posted in Education on August 20, 2018 by Ashley Pearce.